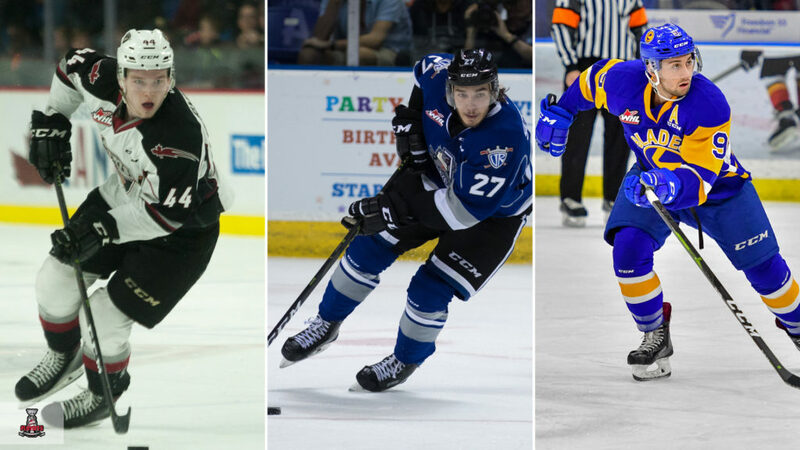 The Western Hockey League is pleased to announce the WHL Three Stars for the first round of the 2019 WHL Playoffs. 1. 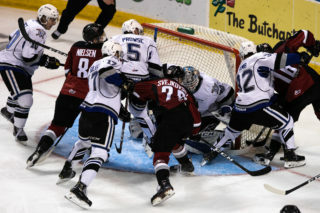 Bowen Byram, Vancouver Giants: The 2019 NHL Draft prospect was one of the most talked-about defenceman after the first round of WHL Playoffs – and for good reason. 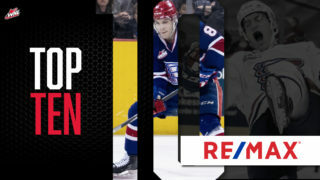 The young rearguard finished the first round with eight points (3G-5A) in six games and tied for sixth overall in WHL scoring during the playoffs. 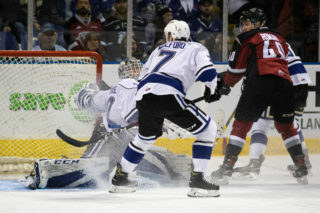 Attaining three multi-point games in the Giants’ 4-2 series win against the Seattle Thunderbirds, Byram’s highlight performance came in Game 3 where he recorded one goal and two assists in a 6-4 win over the Seattle. The Cranbrook, B.C. 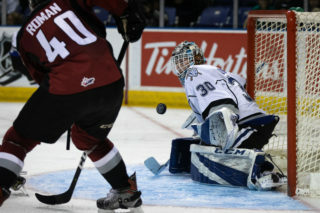 native was awarded the first star of the game as well as the third star of the night in the WHL. 2. 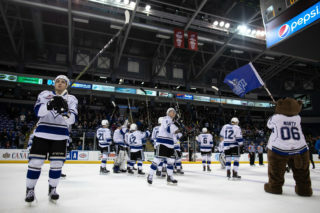 Phillip Schultz, Victoria Royals: Leading the Victoria Royals in the first round is rookie Phillip Schultz, who tallied nine points (2G-7A) in his team’s six-game series against the Kamloops Blazers. Arguably, Schultz was one of the strongest players on the ice in the series, recording three multi-point games including a pair of two-point games along with one four-point effort. The Rodovre, Denmark product was spectacular in Game 5 where he notched the game-winning goal, two assists and the second empty-net goal of the game to seal the 6-3 win against Kamloops. 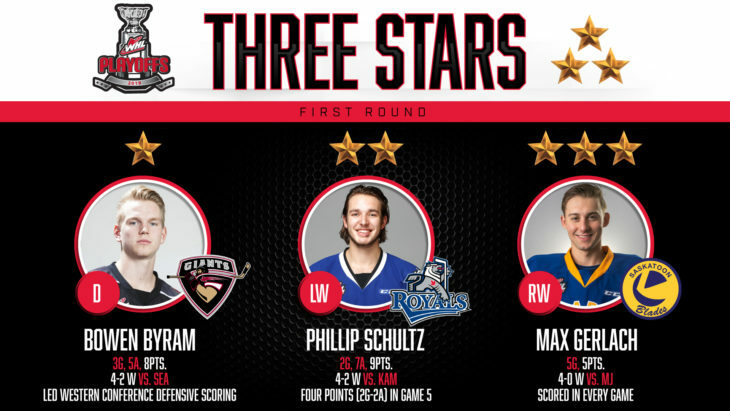 For his efforts, Schultz was awarded the first star of the game and the first star of the night in the WHL. 3. Max Gerlach, Saskatoon Blades: Also driving his team offensively as the leading goal scorer with five goals in the first round is Saskatoon’s assistant captain, Max Gerlach. 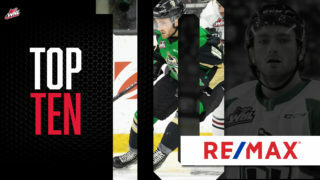 As the only player in WHL Playoffs to score in each game of his series, Gerlach displayed incredible skills for the Blades against the Moose Jaw Warriors, aiding his team in a 4-0 series sweep. Gerlach’s most impressive performance occurred in Game Two of the series where he scored two of the three Blades’ goals, which included a three-man breakaway where Gerlach finished the job and a rebound game-winning goal. The Flower Mound, Texas product was given the second star of the game for his elevated play.